I hope that you have been enjoying the Rising Sign series, my faithful friends. And if you weren’t already aware, the month of March is Reader’s Appreciation Month. You can read all about it over on my About Me page. Simply put if you’ve been putting off a burning question for me, now is the time to let me know. Catch up there and I can help you out. If you have a specific question about your own Rising sign, I want to know about that to. It’s your month my friends, so don’t be shy! Let’s get to today’s Rising Sign, shall we? Today we honor all of those that are Libra Rising. Libra is an Air sign, they are some of the smartest people you will meet. They are the overall nice people of the group, but boy can they tell a story. They are so naturally charming and pleasant they attract people quickly. They approach life gently a little too much so sometimes. They really don’t like to be alone and are the type that don’t know what to do with themselves when their partner is away. At the same time they will avoid conflict like the plague. However if a crisis should arise, Libra Rising will meet the challenge head on, and then some. They will surprise you. They love pretty things and so will always be shopping for clothes and getting their hair done. They like personal luxuries and just like having nice things around them. Sometimes they can have a tendency to pass blame because of this, but they are also very good mediators when someone else’s personal drama should arise. They are very smart and so they will be quickly bored by people who are not driven and active. They have a tendency to be contrary because they just think so literally sometimes. This works to their advantage sometimes, and against them in others. They are incredibly creative and artistic and their love for beautiful things shines through in this vein in a remarkable way. Libra Rising is well mannered and some may even feel insincere sometimes but this isn’t the case. They simply prefer when everything is harmonious around them, even if there is really a lot of drama. They are so charming and sweet though it just makes it so darn hard to say no to them, so they are good at creating balance and peace this way. They are also romantic and gracious and among the most attentive and kind partners when the moment arises. When you think of Libra Rising think of the balanced scales. They are very fair, very kind, very even keeled people. 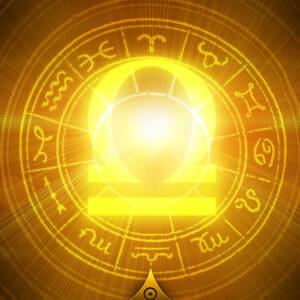 You will rarely find a “yeller” in a Libra Rising. No matter what the situation is. Everybody needs a good Libra in the family. Stay tuned until next time folks where we will enter the mysterious world of Scorpio Rising! Until then, find out more about Reader’s Appreciation Month on my About Me page!